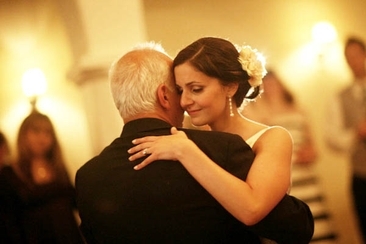 The father daughter dance is a very important (and often emotional) part of any wedding. It serves as a reminder that even though the bride is married, she'll always be daddy's little girl. But not every father and daughter want a sappy slow song to sway to. Many father daughter duos instead want to celebrate and have fun on this big day. While many guests at the reception are expecting something soulful, changing it up with an upbeat and funny song to dance to will surprise and thrill everyone. Everyone knows Steppenwolf's classic “Born to be Wild”. 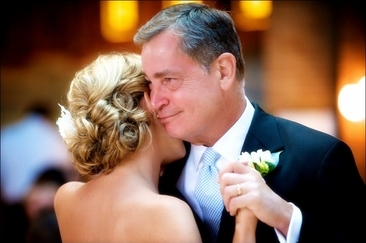 Many people may not think about this for a traditional father daughter dance. But that makes it absolutely perfect for a chance to have fun on the dance floor. 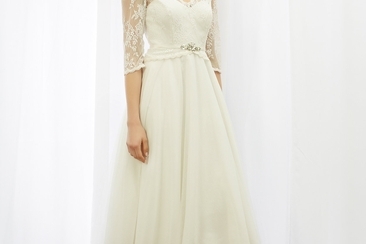 It's especially perfect if the bride had a bit of a wild streak while she was a teenager. Fogerty wrote this song for his daughter before she could even walk. It's all about a father's promises to his daughter as she grows up. Despite the sentimental meaning behind this song, it has a great upbeat tune. You get a little bit of the best of both worlds: a theme that has a deep connection between a father and a daughter, and a fun and upbeat song to dance to. It’s perfect for country music lovers. What a perfect song to add to our list of funny dance music for the father and daughter dance. You can't hear this song without putting a smile on your face. The beat will make for a really bright and enjoyable dance. It's definitely a great choice to make your guests sit up and pay attention! One of the best songs by the Temptations, this is a great non-traditional song for a father daughter dance. It'll make the guests giggle when it comes on, but it actually works perfectly for the occasion. The entire reception will be clapping along. A favorite for rock fans, “Sweet Child O' Mine” could be an incredible father daughter dance. Can you say “air guitar performance”? This definitely qualifies as one of the best funny songs for the father and daughter dance. If you like the song, but it's a little too intense for your wedding, check out the cover by Vitamin String Quartet, which has a beautiful instrumental and would also work really well. It's perhaps not the funniest song to get down to on the dance floor, but it's upbeat, positive, and unexpected. 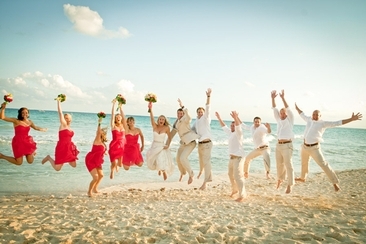 The bride and her father can really choreograph a fun dance that is sure to impress all your guests. I can guarantee no one will expect the Dropkick Murphys' music to be played as a father daughter dance song. This is perfect for families with some serious Irish pride. And while you'd never think this would be a good song for a dad and daughter to dance to together, the lyrics are surprisingly poignant: “You inspired me truly you did from the start, to not be afraid and to follow my heart. There's a piece of you with me they can't tear apart, Forever”. Here's a song that is sure to get everyone laughing. It doesn't have any special meaning, but it's a great jazzy tune with fun lyrics. 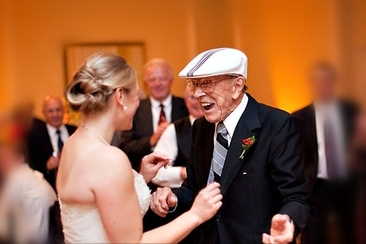 It’s just something entertaining for the bride and her dad to enjoy and dance to. I'm sure all brides are like a rainbow to their dad. So this has a great meaning while not being a slow and sentimental song. It’s a great choice if you're looking for funny music for the father and daughter dance. Plus you can't beat The Stones. Queen is such a crowd pleaser. While this may not traditionally be a “funny” song, it definitely is unexpected for a father daughter dance. And in practice, it's such a great fit. The lyrics work great for a dad and daughter who really are each other's best friends. Another great choice for country lovers. This fast-paced song is unexpected compared to the soft, sappy songs you're used to. Plus, this could be a really fun song to dance to, especially if the bride and her dad are willing to do a little choreography. For the crazy Rocky Horror fans, this is such a perfect choice. Plus it has a built-in dance! Have some of the fellow fans of the film join you and your dad on the dance floor. The entire reception will enjoy this song with you both. This song definitely will have everyone on the dance floor smiling. It’s such a fun song for a father and daughter. You can already see everyone singing along with: “Oh yea, all right.” It’s unconventional but still perfect. Definitely not the craziest song on this list, but the uptempo beat combined with some cute lyrics like: “You don't need to waste your time, worrying about the marketplace, trying to save the human race,” makes it a great song. You won't hear this song at many weddings, yet it still shows the love between a father and daughter. This song is sure to grab the attention of everyone at the reception. 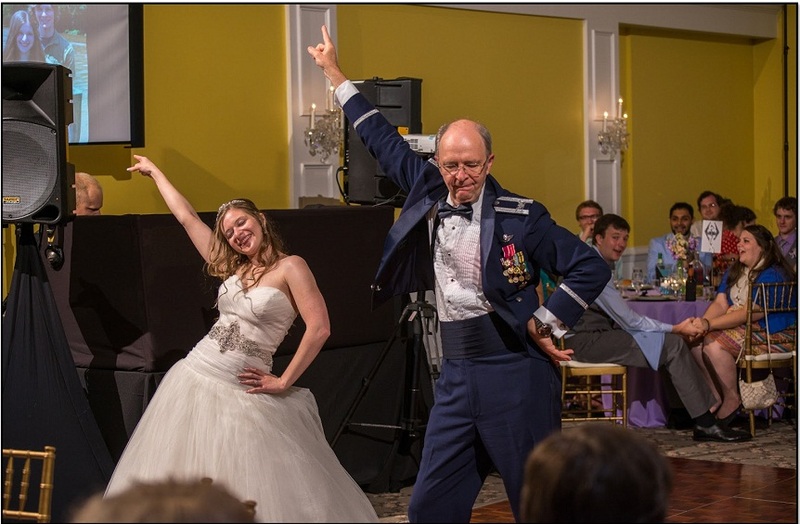 Especially when the bride and her dad jam out on the dance floor! It’s non-traditional and wonderful. This should definitely be considered if you're looking for funny music for the father and daughter dance. Now, this isn't an uptempo song, but who can pass up The Muppets? Giggles will fill the room when you hear Kermit's voice in the reception area. It’s an easy song to dance to, but still perfect if you're looking for something different and quirky. There are lots of covers of this song, but nothing is quite as great as the original. Being aware of the proper destination wedding etiquettes when you plan a destination wedding in an exotic location is important. 7 questions here will help you a lot. The Monsoon wedding dresses 2016 collections offer a great range of designs suitable for all types of weddings – take a look at some of the highlights and pick your favorite! Flowery wedding cakes are a great choice for weddings of all styles. 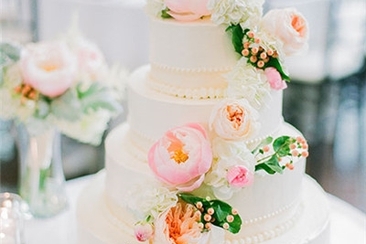 Check out these 35 beautiful floral cake options for some inspiration for the big day.